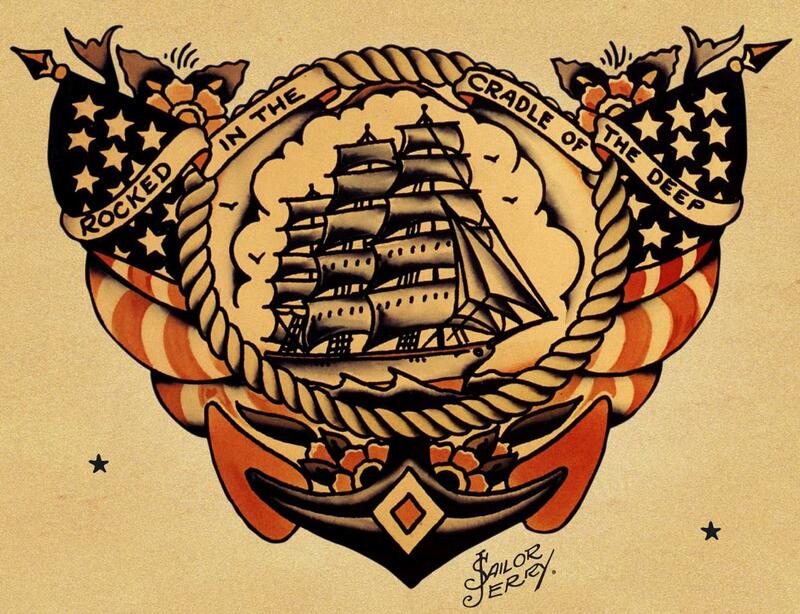 If you don’t know who Sailor Jerry is– you don’t know tattoos. 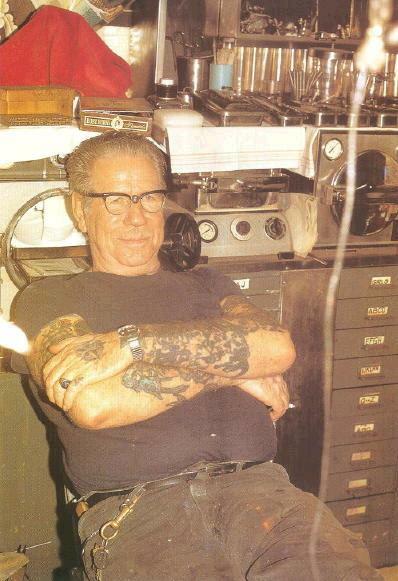 Norman “Sailor Jerry” Collins (1911-1973) is considered the foremost American tattoo artist of his time, and defined the craft in two eras– BSJ and ASJ (before and after Sailor Jerry). He did more for the ancient art of tattoo than any other single person. He regarded tattoos as the ultimate rebellion against “the Squares”. Sailor Jerry’s last studio was in Honolulu’s Chinatown, then the only place on the island where tattoo studios were located. His work was so widely copied, he had to print “The Original Sailor Jerry” on his business cards. He remained a sailor his entire life. Even during his career as tattoo artist, he worked as licensed skipper of a large three-masted schooner, on which he conducted tours of the Hawaiian islands. Sailing and tattooing were only two of his professional endeavors. From his 20s to his late 50s, he stopped tattooing entirely as a part of a disagreement with the IRS. He only tattooed for approximately 12 years. In 1999, Hardy and Malone partnered with an independent Philadelphia clothing company to establish Sailor Jerry Ltd., which produces clothing and other crap. 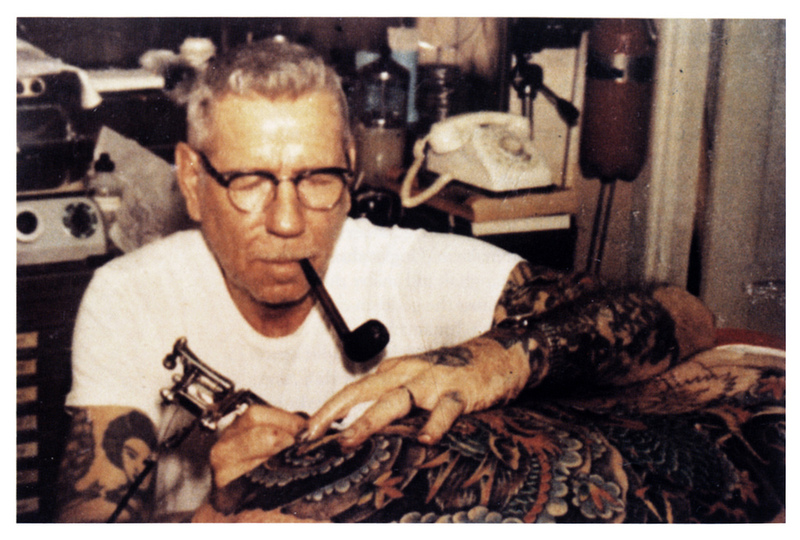 Some say that Ed Hardy sold his old mentor, Sailor Jerry, up the river– taking all the fame and pocketing the dough. I would agree.